This album includes Printemps, composed by Grøttum and featuring Tommy Reilly and Sigmund as soloists. Kåre Grøttum is a composer, pianist and NRK jazz veteran, known for producing and directing numerous jazz broadcasts. He also has written music for string quartets and orchestra, film soundtracks and radio plays. He arranged the music for the hit TV series Jul i Skomakergata, won the Norwegian short film festival and written papers and essays about music, musicians and improvisation. Other musicians on his new album include Ingrid Bjørnov, Kåre Conradi, Tom S. Lund, Erling Wicklund, Knut Riisnæs. 2-disc album with 32 titles by the Danish composer who in Norway is famous for composing Reodor’s Ballad from the movie Pinchcliffe Grand Prix. Bent Fabricius-Bjerre is a jazz musician, film and TV score composer, pianist, and solo artist with hit singles such as the Grammy winning Alley Cat, which sold over one million singles. The album includes Sigmund’s recording of the Pinchcliffe/Flåklypa theme song, on the album titled Norwegian Sunset. Helene Bøksle is a Norwegian singer and actress. She has performed with artists such as Bjørn Eidsvåg, David Urwitz and Eurovision 1995 winners Secret Garden. She entered the Melodi Grand Prix 2011 with the song Vardlokk. Her genre of music is often a mixture of traditional Norwegian folk music and popular music, but on her new album she sings 15 lullabyes, inspired by the songs she sang to get her own son to sleep. Her album, which is Helene’s 4th solo album and recorded at Rolvsøy church in Fredrikstad, includes two songs on which Sigmund plays his harmonica. 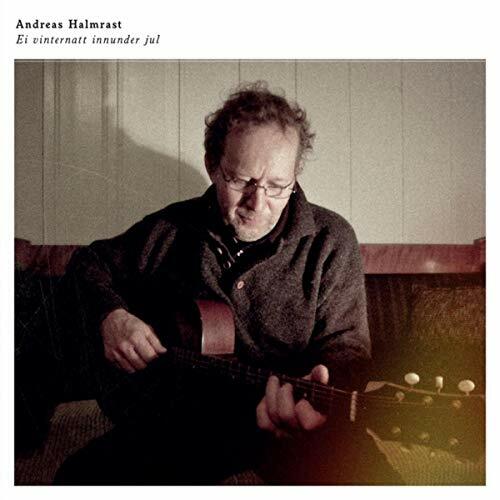 Folk singer and songwriter Andreas Halmrast has not released an album for 40 years, but has now been collaborating with Mattis Myrland and Haldor Røyne for a new album inspired by country life and being a farmer. Sigmund contributes on the single Ei vinternatt innunder jul, a Christmas song which will be released in December. Tagged 2014, Collaborations, Fact of the Month, Guest work.